A ‘star-studded’ event took place on Friday 7 Dec – our annual music and art concert. Brave beginners and well practiced students are given the opportunity to perform on the big stage on the baby grand at Evita se Perron. This is always a magical way to see everyone off into the festive celebrations of Christmas coming and an exciting new year of more music and art classes! Thank you to Judy Wood (music teacher) and Adri Van Aaswegen (art and lifeskills teacher) for their time, dedication, love and care for each student whom they guide and inspire. A free afternoon of dance class, theatre games, and imagination exploration was presented to 60 of our community’s youth of all ages! 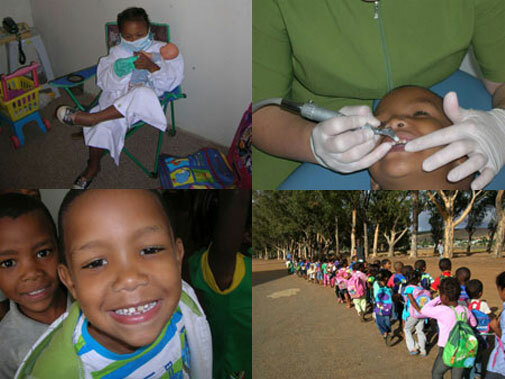 Broadway SA is an NGO supported by Tom Viola, Broadway Cares in the USA who sponsor The Trust’s educational programs. Art is the first chance. That is the motto of Broadway in South Africa (BSA), a not profit organization that use the arts to empower youth with the life skills necessary to effectively deal with the demands and challenges of everyday life. Programming is focused on improving communication and critical thinking skills, academics, and creative development by reinforcing and developing the students own imagination. Since 2009, over 1600 students (ages 9-36) have participated in our workshops. Based in New York City, BSA is made up of professional artists from the Broadway and Entertainment industry utilizing their expertise in the arts to facilitate the personal empowerment and growth of generation in desperate need of direction. The result of this work are students impassioned to create their own futures and achieve their life goals, whether it be going to college, or starting a program to help better their own community. 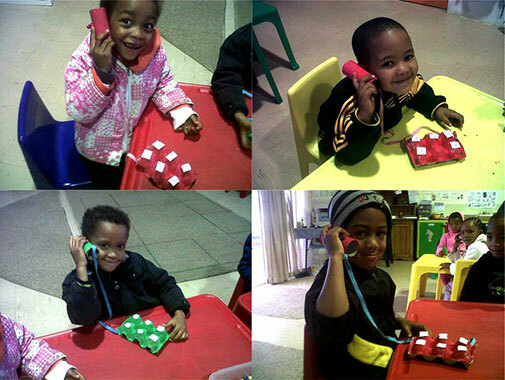 The ‘Snake Man’ from Stellenbosch visited our Darling children at Klouter Kabouter – there were so many different snakes we learnt about and everyone was so quiet and mesmarized by their beautiful silky slithering skins. Look how brave Teacher Noeline is!! …for looking after our eyes – 28 pairs of Evita’s Darlings eyes were tested for free! All eyes are sparkling and fine and ready as ever for learning and reading lots more! 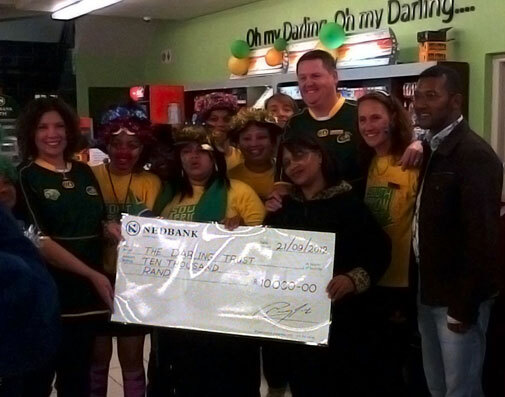 was a wonderful day for The Darling Trust when Darling Spar handed over R10,000 raised in aid of the Trust’s ongoing programs within the Darling community! 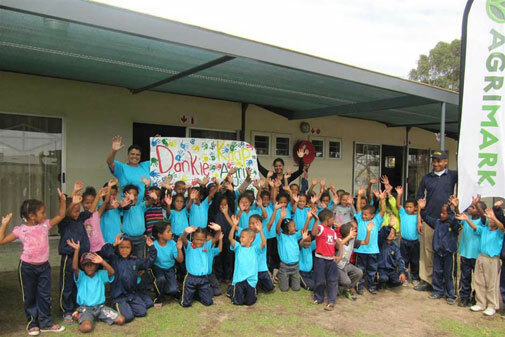 ON BEHALF OF THE DARLING COMMUNITY AND ALL AT THE DARLING TRUST, THANK YOU TO JANNIE ENGELBRECHT, ESTE NEL AND JOHAN BEUKES WHO HAVE WORKED SO HARD TO MAKE THIS LITTLE DREAM A BIG ONE, COME TRUE! 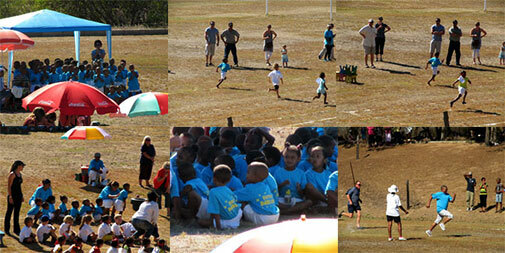 On Saturday 5 May, 100 Darling residents supported an event organised by Darling SPAR in aid of The Darling Trust’s charitable programs and projects. A massively welcome R6, 900 was raised! 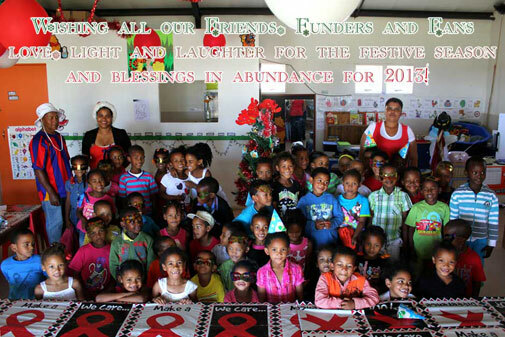 Thank you to Darling SPAR and of course to all our darling Darlings who supported this fundraiser. DJ Hermie offered his Saturday evening for free to make sure the dancing never stopped! 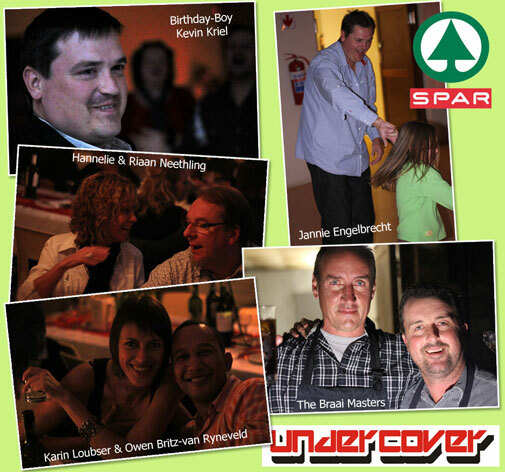 The band ‘Undercover’ came all the way from Swellendam to rock Darling’s socks off and succeeded! Este Nel & Johan Beukes alongside The Team: Omnia Grobler, Francois Nel, John Duckitt and Megan Williams, made sure all was in place, the ambience set and the steaks done to everyone’s preference. CONGRATULATIONS! Thanks to Darling SPAR for sponsoring all the food, which helped keep the costs low! 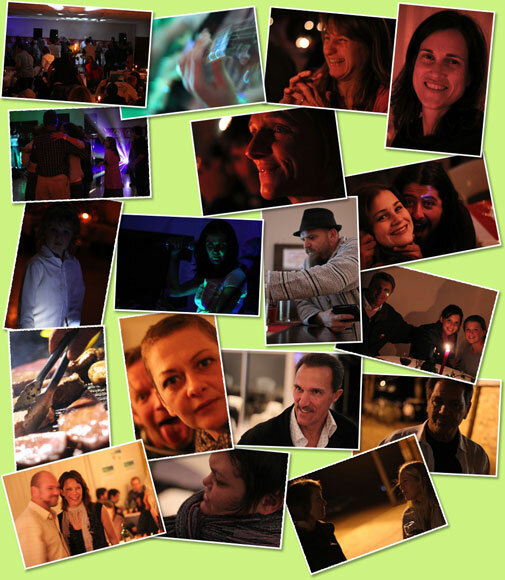 And of course, THANK YOU Kevin Kriel for having a Birthday with lots of friends who also supported the event. 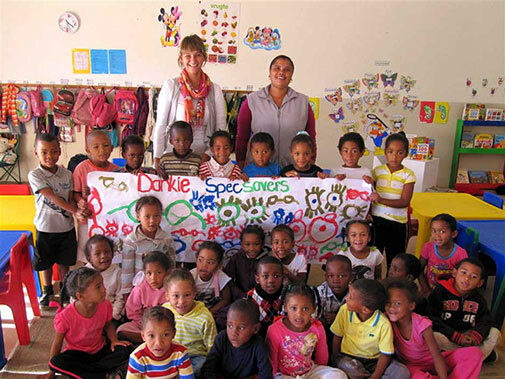 The Darling Trust assists Faiz and Lorraine Willemburg heading ‘Darling Outreach’ helping make another dream a reality! Darling Outreach, headed by Faiz and Lorraine Willemburg, held a Christmas lunch at the Darling Municipal Swimming Pool on Christmas day for underprivileged children between the ages of 7 and 12 years old. The event was very successful and ensured a day of food, fun, games and laughter for the children, for many of whom Christmas Day would have passed uneventfully had they not received the special invitation from Darling Outreach. and also to Emelia Titus, Madre Herman, Rolene Thomas, Nathan Filander, Austin Willemburg, Jamie Lawrence, Antolino Smith, Nita Thomas, Avril Brits, and Kirsten Duffus and family for their assistance in making this event successful. Our last Senior Citizens day for 2012 of movies, scones and Christmas spirit! Al die ooms en tannies wat elke tweede maand by ons kom ‘kuier’ en samesein geniet – ons sien uit na volgende jaar dit weer doen! Thank you to Agrimark Darling for helping us get our long awaited awning ready for the scorching Darling Summer! Agrimark generously donated a portion of the shade cloth needed to make sure our children don’t get sunburned! South Africa’s darling gardener, Keith Kirsten, visits Tannie Evita in Darling again! 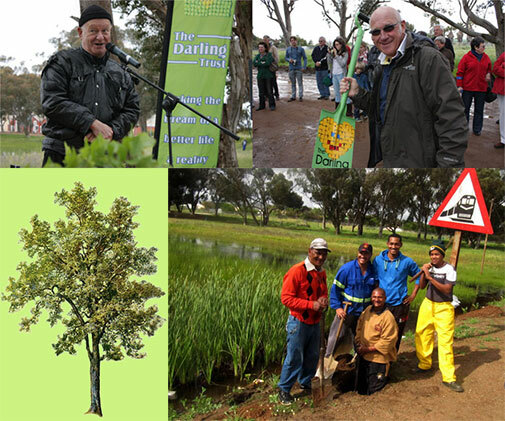 The Darling Trust could not have wished for a better way to spend the end of September, than planting trees for Darling! After raining bucket loads on Friday evening and filling up the ready dug holes with welcome water, the clouds promised to hold back just long enough for our ceremony to take place next to the vlei on Evita Bezuidenhout’s Boulevard on 29th September 2012 @ 10am. Major thanks to Keith Kirsten and an army of nurseries who brought a forest to Darling, 30 trees to plant in our Boulevard and 530 trees to hand out to Phase 1 residents in the old Asla area of Darling. Trucks of trees and compost were delivered on Friday and the excitement and anticipation was electric! Willie Thomas and his team of worker bees spent the weeks before, digging the holes and informing the residents that a tree and bag of compost each could be collected on the 29th at the community pool. Pieter-Dirk Uys (patron) welcomed Keith and his team and blessed the ceremony by planting a tree alongside Keith and Ivy Johnson (trustee). The whole community got involved from the word go and those who could make it on the day from the Darling Tourism Committee, VGK church, Presbyterian Church, Dutch Reformed church, Darling Music Experience, Darling Lodge, Darling Backpackers, Daisy Field guest house, Just Trees from Paarl, our Municipal Ward Councillor and the very welcome press! On behalf of The Darling Trust and the community, thank you to the following contributors to this major event and initiative! Friday 20th April was a wonderful day of fantasy for Evita’s Darlings thanks to Amy bringing ‘Puppet World’ to the children of Darling. It was a gorgeous day filled with marching ants, dancing and listening to the friendly puppets who each had a story to tell. Thank you Amy and The Lindbergh Foundation for visiting and entertaining our Darlings – our children haven’t stopped talking about that special day! Friday 14th of September, Darling was graced with beautiful weather for the opening of the Annual Wild Flower Show. Pieter-Dirk Uys, patron of The Darling Trust, graciously opened the 95th edition of one of the most famous Darling events! 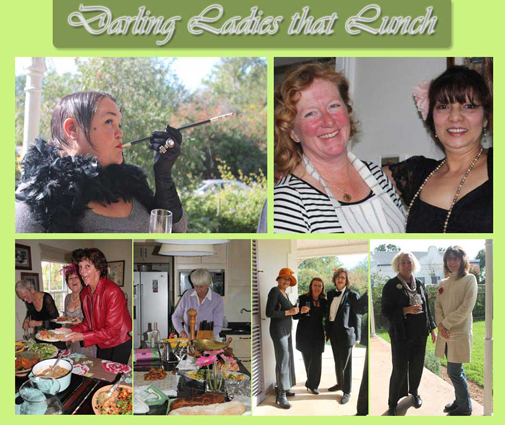 On the 11 July, the ‘Ladies that Lunch’ held a tribute High Society Luncheon in aid of The Darling Trust’s new Skills Development Initiative. Loretta, Chris, Jane and the trustees are working away tirelessly at getting this exciting new project launched! Thank you to Darling Cellars for the gorgeous wine which complimented the beautiful spread laid out by Jane Wallace. All the usual lovely Darling ladies (and two gents) supported this fabulous event and a very welcome R700 was raised through ticket sales. Thank you to all those who rose to the occasion with hats and jewels and joined the spirit of giving! We look forward to lunching with you soon again!